A healing garden is slowly taking shape in the space where, exactly two years ago, at least 32 people were killed in a horrific chain of events when gases burst out of the ground and a huge mountain of stinking garbage toppled down on the houses built around it in Meethotamulla. Eleven people are still missing, and bitter are the memories of the families that lost those they loved. The former garbage mountain is being turned into an urban garden that will one day include housing for those still living in the vicinity, and various commercial centres. Heavy machinery is transforming the site, with the project estimated to cost Rs 1.3 billion. The Meethotamulla tragedy began in 2009 when garbage began to be dumped in vast amounts in what was then a peaceful, semi-rural environment. Permission was granted to dump rubbish in a two-acre area but the dumping area steadily expanded to 23 acres. The mountain of garbage grew more than 48m (160 feet) high in the absence of methodical recycling procedures or management. Disaster struck in 2016 while those living in the area, like people all over the island, were preparing for the auspicious time for celebrating Avurudu, the Sinhala and Tamil New Year. No-one expected that the dreadful garbage mountain would come to them. “My family was buried alive before my own eyes. 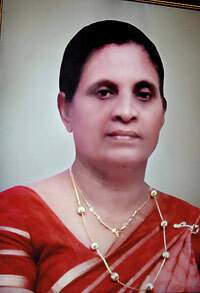 Even today, when I remember it, I feel like crying aloud,” Kirthi Perera, who lost most of his family, said. He is left with only with his grandson. “I came to Meethotamulla after my marriage,” he continued. “Today, when people hear about Meethotamulla, what comes at once to their mind is garbage mounds but those days it was a beautiful paddy field – it was called the Pothuvil paddy field. Beautiful birds and fish lived here. When it rained, the paddy fields flooded and we caught fish,” Mr. Perera recalls. 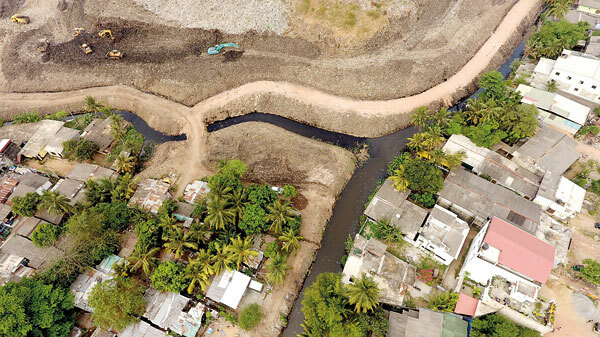 Mr. Perera bought 18 perches of land to build a house, paying a monthly instalment of Rs. 8,800 from the salary he drew from the Prisons Department. He said initially the dumping of garbage in the vicinity began in 1980. By the time the garbage mountain was close to collapse, some 1,200 tons of rubbish were being transported there daily. The mountain grew in all directions, bringing ill-health and disease among the local people who lived with the flies and vermin that fed on the rubbish, and amidst the overpowering stench. 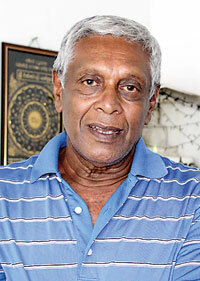 In 2011, after his retirement, Mr. Perera helped form the People’s Campaign against the Garbage Mountain. “What happened to our family members was murder. Everyone wanted to put garbage here. It is a crime committed by everyone who brought garbage here,” he said. With tears rolling down his face, Mr. Perera recalled the day the tragedy struck. “Three days earlier,” he said, “I noticed a neighbouring two-storey house was tilting towards our house. “On New Year’s Day, I thought that the house was leaning further towards my house. The residents of that house cleared out their house. We helped them. “On that Avurudu Day my daughter was about to visit that gentleman’s house. She got ready, saying she would go after performing the Avurudu rituals. “In the meantime, I saw the upstairs portion of that house was cracking. My son-in-law had parked his three-wheeler near there. I told him we should all get out of the house. Mr. Perera said his daughter cried out, “Oh, my father!” and buried her face in her hands, but he reassured her: “Nothing happened to me”. After the dust cleared, Mr. Perera gazed in shock at the spot where his wife, daughter, son-in-law and grand-daughter had been standing. There was nothing there but the debris of former homes. Mr. Perera paused for a while to wipe his eyes. No-one with a heart could listen unmoved by his story. “When I called my wife’s name, my wife, who was half-buried in the debris, cried, ‘Mahaththaya save me’. I heard it. I hastened to the place where I heard her voice. “My wife was lying covered up to her hips in a pile of concrete slabs. With all my strength I pulled aside one slab. I asked for help. People rushed over and began helping to clear away the concrete. It was no easy job. While this was happening, my wife told me her chest was hurting. I put my hand through the debris and stroked her, saying, ‘Manel, somehow I will save you’. “When I found her, it was about 2.45 p.m. It was about 9.30pm when she was rescued. “My wife was taken to the Accident Ward of the National Hospital. There, one of her legs was amputated. I thought we could save her life but she left me,” Mr. Perera said. He is by no means the only survivor-victim of this tragedy: a mother weeping over the loss of her two children, children losing their parents, wives their husbands, are among others left bereft. Engineer Sumedha Rathnayake, Director-General of the Urban Developmen Authority, said the government aimed to turn the devastated site into a beautiful garden. He said the first phase of the project was coming to an end. 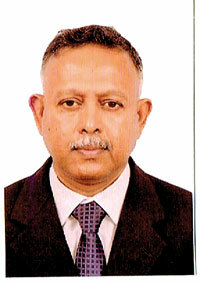 “It is the Meethotamulla Revival Project,” the Western Province Director of the Urban Development Authority, Y.A.G.K. Gunatilleke, said. The work had been set in hand by the Minister of Western Development and Megapolis, Champika Ranawaka. The army, the Land Reclamation and Development Corporation and the National Building Research Organisation are supporting the project alongside other institutions.